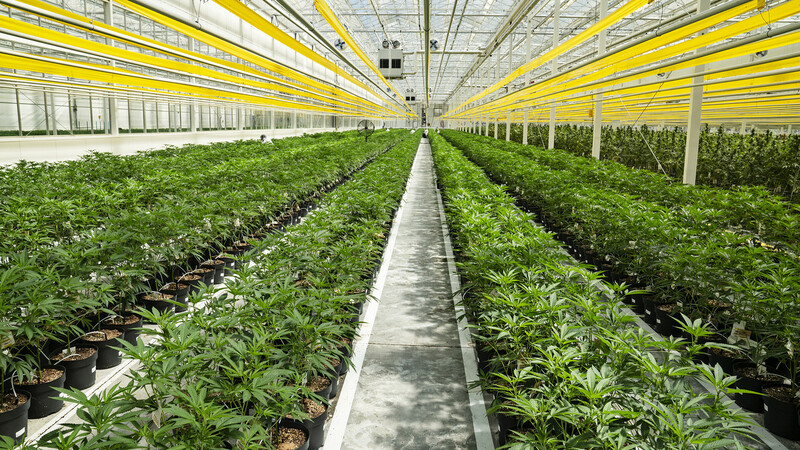 A newly established US cannabis operation backed by a traditional Ohio-based family that has built a fortune in retail is making a hostile bid for a top Canadian firm it has been doing business with in the past. Supported by the wealthy and powerful family Schottenstein, American marijuana maker Green Growth Brands Ltd.
Green Growth said it estimates Aphria to be $ 11 per share, or about $ 2.1 billion, up 46% from Aphria's closing price on December 24. The pitch of Green Growth is based on combining the long-standing experience of the Scots family in retail with Aphria's ability to grow a lot of pot. "What we've learned about our own history is that there is a real demand and need for an experienced and accomplished management in the industry," said Peter Horvath, chief executive of Green Growth, on Thursday in a telephone interview. "The essence, the idea here, is to incorporate talents and abilities into the [Aphria’s] team and use them across multiple geographic regions." Horvath has been in retailing for some 35 years and has been a senior executive for large public companies such as American Eagle Outfitters Inc.
– both count the Schottensteins among the main investors and executives. Jay Schottenstein is the chief executive and chairman of American Eagle and chairman of DSW, while the billionaire family Schottenstein has a vast retail empire with many real estate and interests in grocery and consumer goods manufacturing. The announcement on Thursday is not the first foray of the Schottenstein with Aphria. In 2017, the family attempted to acquire a license to grow medical marijuana in Ohio through a joint venture called Schottenstein Aphria LLC. Eventually, the joint venture failed to obtain an Ohio license, even though it was intended at the time it intended to appeal the decision. If Green Growth's bid for the purchase of Aphria is successful, it will likely mean significant changes for existing Aphria shareholders. Currently, the Toronto Stock Exchange or TSX and the New York Stock Exchange, which trades Aphria in the United States, do not allow companies that violate government regulations to be listed on the stock exchange. Since Green Growth operates illegally under US federal law, it is likely that the stock – like Green Growth now – trades only through the CSE and over the counter. Horvath confirmed in the telephone interview that listing at the CSE was not ideal. "It's not optimal," he said. "But that does not mean it can not work." It is important for Horvath, among other things, to guide management with experience in leading a global business that he compares to the current state of cannabis in the US The US has created a colorful collection of laws across the country As in every nation, different laws apply, which global retailers must follow. Green Growth describes itself as a vertically integrated marijuana company with offices in several states. The company reported a loss of $ 516,344 in the third quarter of the fiscal year, with revenues of $ 1.7 million, according to the company's financial statements. In the previous quarter, the company did not generate revenue and lost less than $ 100,000. It currently has offices in California, New Jersey, Nevada and Oregon; She also holds several licenses to grow, process and sell marijuana in Nevada. Green Growth went public with a reverse takeover of Xanthic Biopharma Inc. and began trading with the CSE last month. Green Growth said it had made a "friendly" offer that included a $ 50 million investment before the current offering was released. and that it intends to complete the "brokered financing" of its own shares on the Canadian Securities Exchange for $ 7 per share, raise $ 300 million and finance the business. Green Growth said it would offer 1.5714 shares for each Aphria share and "believes" it supports the acquisition of around 10% of current Aphria shareholders. The Aphria share has declined by more than 30% after the seller Hindenberg Research made a statement about the company's business in which he spoke of a "shell game" among others. At the time, Aphria called the note a "malicious and selfish attempt to profit by manipulating the stock price." Since then, Aphria has announced that it has appointed a special Claims Review Board. A spokeswoman for Aphria said Thursday that the company did not receive an immediate response.